Why would I need self storage in Waltham, MA? There are a variety of reasons why you might need self-storage in Waltham, MA. How much is a storage unit in Waltham, MA? The cheapest storage unit in Waltham, MA is $76.00 per month. What size storage units do you have available in Waltham, MA? In Waltham, MA we have sizes that range from 3'x8' to 10'x30' to suit your storage needs. How much is it for a 3'x8' storage unit in Waltham, MA? The cheapest 3'x8' storage unit in Waltham, MA is $76.00 per month. Waltham is an eastern Massachusetts city that enjoys a convenient location just 10 miles from Boston and is adjacent to Newton, Belmont and Lexington. The city has an exciting cultural and educational atmosphere, thanks to Bentley University and Brandeis University, and it also maintains ties to the area's history with attractions like the Codman Estate and Gore Place. 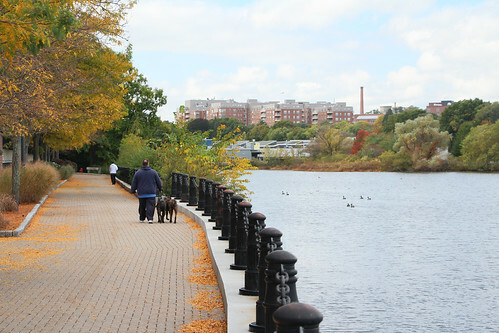 As a resident of Waltham, you'll enjoy tree-lined streets with numerous parks and green spaces, including the Beaver Brook North Reservation, Prospect Hill Park and Storer Conservation Land. Originally part of neighboring Watertown, the area where Waltham is now established was first settled in the early 17th century. In 1738, Waltham was incorporated as a town, largely as the result of disputes over taxes and services, though it maintained connections to area towns with major roads and bridges. Textile mills, paper mills and chemical manufacturers built along the Charles River thrived throughout the town's early years, and the city's Waltham Watch Co. helped Waltham to become the thriving city it is today. The Waltham area is home to educational institutions, health care organizations, professional services companies and manufacturers, all of which provide many local jobs. Two of Waltham's largest employers are Bentley University and Brandeis University, which together provide several thousand jobs. Waltham's other top employers include health care organization Fresenius Medical Care, electricity and gas provider National Grid and software developer Micro Focus. If you're looking for a job in Waltham, you'll find the most opportunity in the city's major industries of professional and business services, trade, and transportation, education and health services. Construction, government, leisure and hospitality are always quickly growing, so there may be a number of jobs to fill in these industries as well. Waltham Public Schools oversees the elementary, middle and high schools of Waltham. You also have your choice of several private schools, including both parochial and secular campuses. Both Bentley University and Brandeis University call Waltham home, providing a close-to-home option for pursuing your college degree. There are many other colleges and universities in the nearby city of Boston as well. Utilities: National Grid and Eversource provide energy services to Waltham and many surrounding communities. The city manages its water and sewer services. Garbage and Recycling: Most residential areas of Waltham receive regular trash and recyclables collection services from the city. Transportation: A number of MBTA bus and commuter rail routes run through Waltham, providing convenient transportation options both around and out of the city. The housing market in Waltham is fairly expensive, but largely on par with average prices in the city of Boston. As Waltham grows, its housing prices have been increasing. That can be good news if you're looking to make a long-term investment, although it may be slightly challenging to find a budget-friendly home. However, with a fairly active housing market and many rental options, you'll be able to find something that fits your needs. Our lowest priced units in Waltham, MA average $91.50 per month. 159 people have reserved units in Waltham, MA in the past 30 days. There are 2 locations within Waltham, MA's city limits. There are 2 locations in Waltham, MA that offer AC and Heating features.